Doobert transport of the week is Bernard & Ernst! These two have always been side by side. When their owner passed away, Bernard and Ernst were abandoned at a rural shelter in North Carolina by relatives of their previous owner. While at the shelter, they fell into a deep depression and were nearly immobile. One of Doobert’s own organizations, CrisisDogs NC, rescued them from the shelter and spread the word that they are a bonded pair, hoping to get them into a larger rescue. They received a response from Lucky Mutts in Racine, Wisconsin. 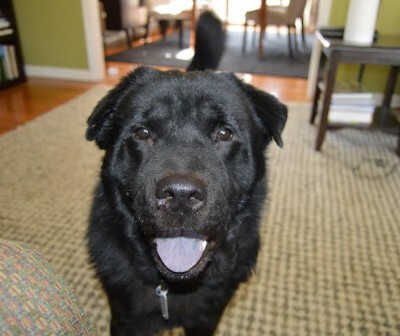 CrisisDogs NC put Bernard and Ernst into a foster home in Raleigh, North Carolina for 3 weeks. They were scheduled for a ground transport but it was cancelled last minute. The shelter found a dedicated volunteer, Amy, to drive the dogs 12 hours to meet Chris in Indiana, at Jasper County Airport. 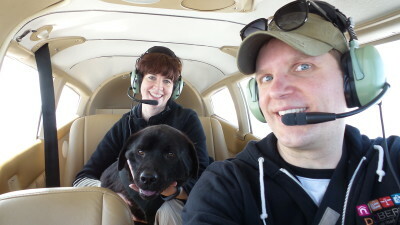 Chris picked up the dogs from Indiana and flew them back to Waukesha, WI where their new owner, Patrice, met to pick them up. 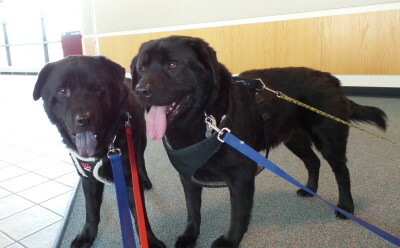 Their adopters and new forever home is in Michigan where they arrived on Easter! Bernard and Ernst’s new parents are a retired couple, living on 8 acres of land, leaving plenty of room for them to run around and roam. Bernard is 8 years old and Ernst is 5 years old. 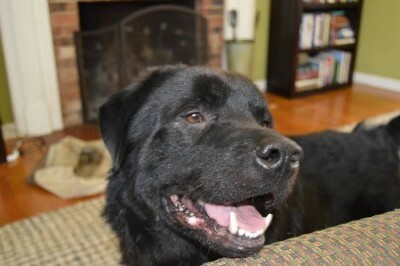 Both are a Newfoundland mix. Bernard and Ernst had plenty of photos to document their journey home, including their freedom ride, the first picture taken of animals when they leave the shelter and it is clear how excited and happy they were to be out of the shelter. A big thank you to CrisisDogs NC and Chris Roy, Flying Dog Rescue, Inc. for getting Bernard and Ernst to their new forever home.